Albuquerque, NM. 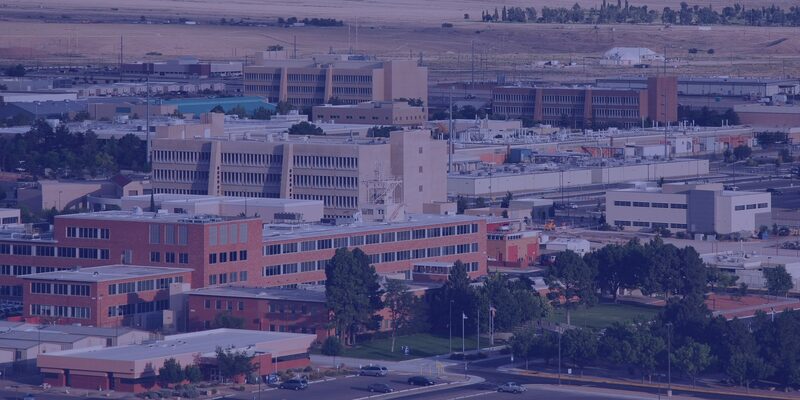 Sandia Technical Partners, LLC (STP), a New Mexico-based joint venture, is pleased to announce its participation in the new Management and Operations Contract for Sandia National Laboratories (SNL) recently awarded to National Technology and Engineering Solutions of Sandia (NTESS). Los Alamos Technical Associates (LATA) is the managing member of STP formed to enhance small business participation in SNL operation. In addition to LATA, STP member entities include: Strategic Management Solutions, LLC (SMSI), Innovative Technology Partners, LLC (ITP), and Sigma Science, Inc. (SSI) – all small businesses headquartered in New Mexico. LATA has appointed Dr. Carl A. Beard to lead STP. Dr. Beard’s most recent assignment was Group Vice President of AECOM Nuclear & Environmental Management Services. He brings a long history of support to the Nation Nuclear Security Administration (NNSA) and a strong commitment to the continued economic development of New Mexico. STP is currently supporting NTESS in the transition of the new contract to ensure seamless continuity in SNL’s mission to support the nuclear weapons stockpile program, conduct energy and environmental research, and promote basic science and engineering research. Following transition, STP will assist NTESS in developing and implementing its small business outreach programs that enhance opportunities for the New Mexico small business community to support the SNL mission. LATA, an employee-owned small business, provides multidisciplinary technical services; large-scale, complex program and project management; large scale environmental remediation, and engineering design and integration for a broad range of government and commercial clients. SMSI provides expert management consulting, program and project management and technical consulting services to government and private sector clients. ITP, a veteran-owned business provides consulting, management, engineering and technical support services in national security missions associated with the nation’s Nuclear Security Enterprise; as well as to other federal agencies and public/private sector organizations. SSI, a SBA 8(a) certified company provides nuclear safety, environmental management, operations, maintenance, engineering, project management and administrative support services for federal and commercial clients. For more information about STP, visit our website at sandiatechnicalpartners.com.